Beachball Properties is a boutique, family-owned vacation rental and property management company servicing the beautiful Alabama Gulf Coast. We offer a premier selection of condos, duplexes, and private homes that will fit any family size and most budgets in Gulf Shores, Orange Beach, and Fort Morgan. We are here for all your Gulf Shores, Orange Beach, and Fort Morgan vacation rental needs. Our team is passionate about sharing the local beach lifestyle, and we work diligently to ensure that your entire vacation is hassle free and fun from reservation to check-out. Our office is located at 22989 Perdido Beach Blvd. in Orange Beach, Alabama. Close to everything in Gulf Shores. Directly across from the beach. BEACHBALL PROPERTIES offers vacation accommodations including Gulf front beach homes, condominiums, and Gulf view homes with private pools within several unique beach communities. We are a small and locally owned company with intimate knowledge of our area, and we can provide professional, friendly advice to create the perfect beach vacation to fit your needs. 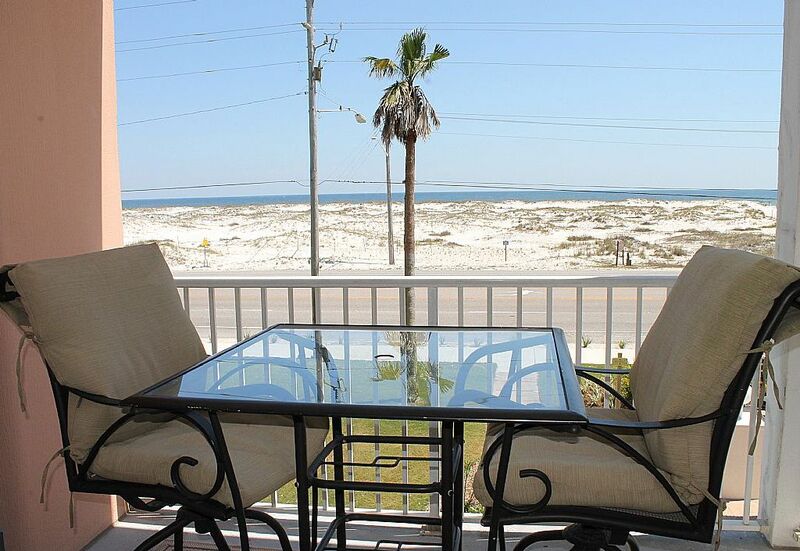 BEACHBALL PROPERTIES offers vacation accommodations including Gulf front beach homes, condominiums, and Gulf view homes with private pools within several unique beach communities. We are a small and locally owned company with intimate knowledge of our area, and we can provide professional, friendly advice to create the perfect beach vacation to fit your needs. Come Have a Ball at the Beach! The condo was very nice as advertised. Easy access with the key pad entry was a very nice touch. The family could come and go without having to worry about a key. I have no complaints about condo at all. Thanks for allowing us to stay. We're thrilled to hear you had a 5 star experience at our property. We can't wait to have you back a guest soon. We enjoyed our trip . the room was very nice . I liked the idea of being able to talk to the people at the pool. we had a nice view of the beach . construction and installation of cable was going on so we stayed gone more. Great restaurants, The Fish basket, the Ruby Slipper, Mickie's sea food and the Hangout(don't forget to pay to park). Wish we could have brought our Chautauqua, "Dash". Thanks again see ya'll in October. Shrimp fest! Dash really wants to come. We're HAPPY to hear you had a great vacation at our property. We look for ward to having you as a guest again soon!! !